In the early 90s there was a bit of a run of people playing with concrete. Meh - it's a gimmick. Every couple years on here someone shows up wanting a lightweight box for their street racer. 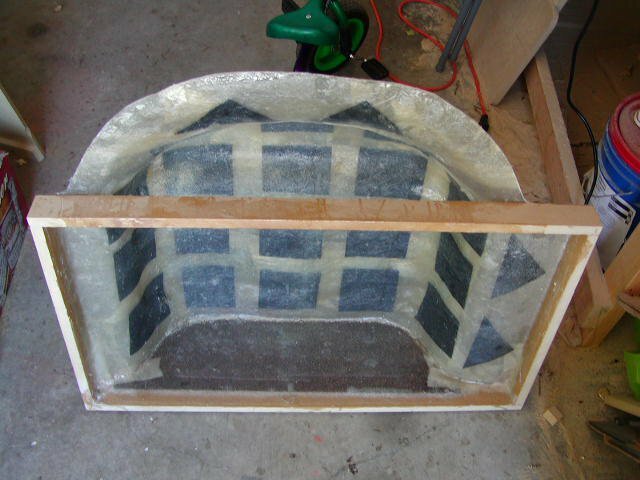 I always suggest 3/4" foam board with a couple layers of epoxy fibreglass inside and out. To date nobody has reported back that they tried it though. Foam insulation would work fine. Just have to use epoxy resin. seen one made from 1" plate steel..a little heavy and may ring a bit. I've seen the granite and conctrete ones. Defro 13, a former member, used 5/8" aluminum plate, cnc machined for infinite baffle installs in a few cars a few years ago...looked really cool. I recall someone that layered Dynamat in between the 'glass coats. No idea if it made an acoustic difference in any way, shape or form, but I believe the builder scored some bonus points from the judges for originality. Do you remember the BMW with the 15" subs in the kick panels? The front quarter panels were the enclosures ... gave that "bass up front" feel and then some. I recall someone that layered Dynamat in between the 'glass coats. I did that in my car. Doesn't hurt..